I love green tea but I never tried matcha until early this summer. As of today I’m literally addicted to it! In the beginning I would just purchase a green tea frappe from Starbucks. I would always order mine with almond milk and a banana mixed in…and let me tell you it’s fab when made right!!! Because sometimes...well let's not get into that. But then one day while shopping in Whole Foods I made my way over to explore the tea section and discovered Sweet Matcha Japanese Green Tea Latte Mix by Rishi. Once I got home I realized I couldn’t make a cup because I needed a frother. So I quickly ordered one on Amazon and that’s when the magic began! My favorite way to make this particular matcha is with a warmed cup of almond milk (original not sweetened) and a nice rounded tsp of the mix. Now let me just warn you now, if your anything like me this will become an addiction! But a good one! I absolutely love to come home, take a shower and get cozy with a warm cup of matcha. The taste is absolutely amazing and has such a smooth feel to it! The best thing about it is that within days of drinking the matcha I began to notice my skin looked better, it had a nicer tone and glow to it! 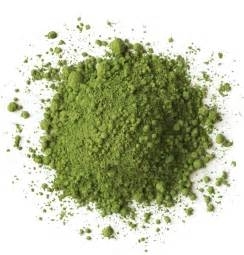 That’s when I decided to do a little research and I discovered all the great benefits of green tea matcha. Oh and did I mention that its great for balancing hormones as well!!! OH YEAH!!! I urge you to dive in and give Rishi Green Tea Matcha a try! Find the tea in a store near you or purchase it here at Rishi-Tea and explore all they have to offer!